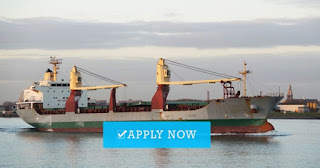 SEAMAN JOB INFO - C.F Sharp Crew Management Inc. Urgent hiring jobs for Filipino seaman crew deployment January 2019. Manila Branch Casa Rocha Building, 290-292 General Luna Street Intramuros, Manila. Share to help other seaman looking jobs at sea. 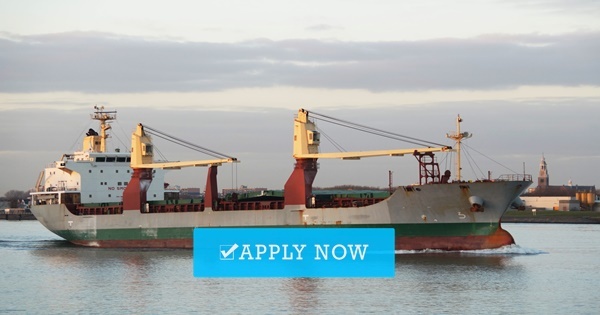 Search 1000s of maritime vacancies. Upload your CV and apply today. Maritime & offshore career guide. 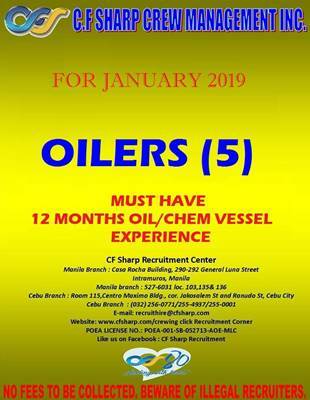 0 Response to "Hiring Oiler (5x) Join Onboard January 2019"